A sandwich with fresh tomatoes, some leafy greens, lean meats and healthy grain bread can make a great tasting meal. 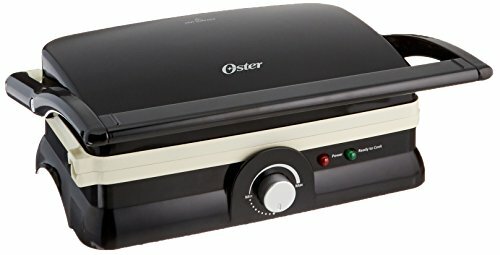 The appliance you use to make that sandwich will make the difference between one that’s okay and one that’s utterly delicious. 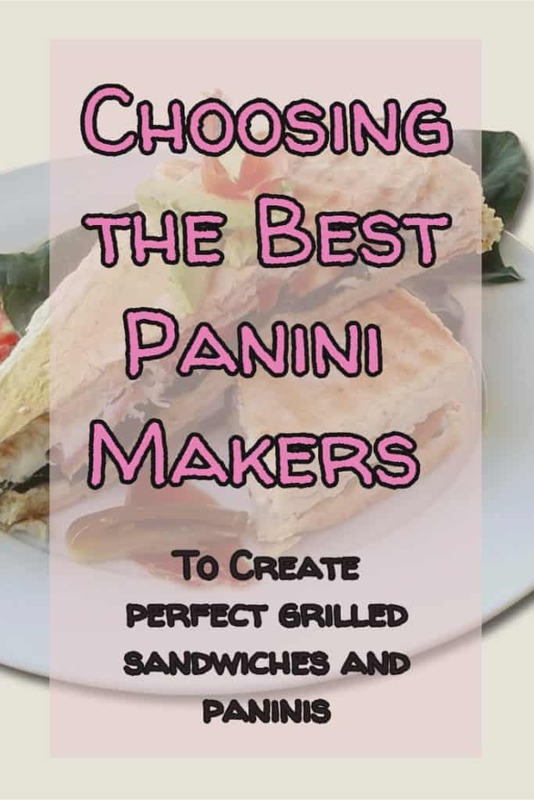 Using a panini press is a way to make sandwiches the healthy way. 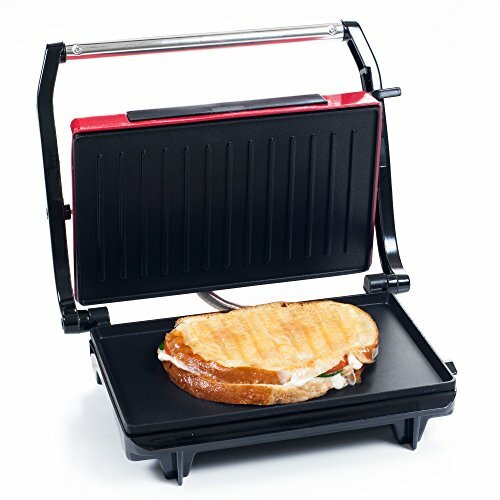 For example you can use one such as the Hamilton Beach Panini Press Gourmet Sandwich Maker. Model number 25460A has a wide cooking surface. 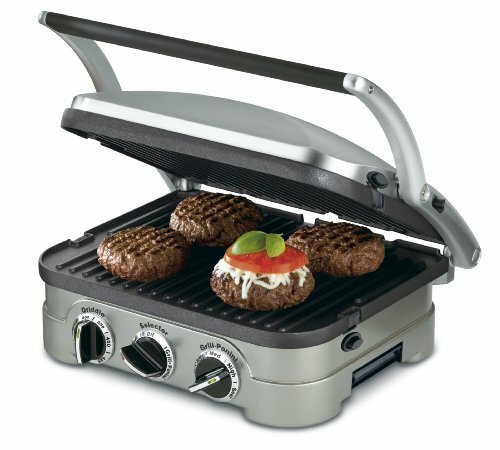 This model has a large cooking grilling area which allows you to have enough room to make any size sandwich for yourself as well as for other people. Alos I love that you can cook multiple sandwiches all at the same time. Because the 10” by 8” grid is nonstick, whatever sandwich creation you choose to use on the grill, it won’t end up sticking, and cleaning the grill once you have finished is a breeze. Thanks to the even heating surface, you’ll end up with bread that’s evenly toasted every single time. 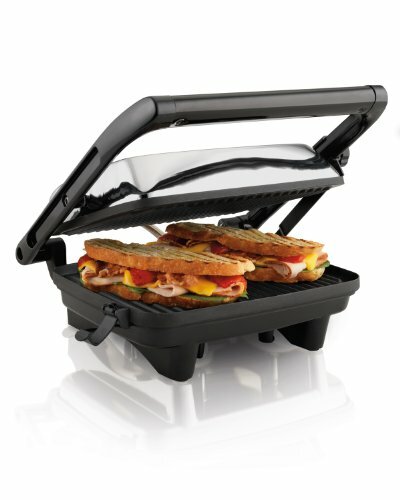 If you want to make a thinly stacked or a thick stacked sandwich you can because the appliance has a floating lid. This feature allows you to adjust the thickness of your meat, vegetables or whatever else you want on the bread. It has a power on the indicator as well as a preheat one. The grill plate does not come off. 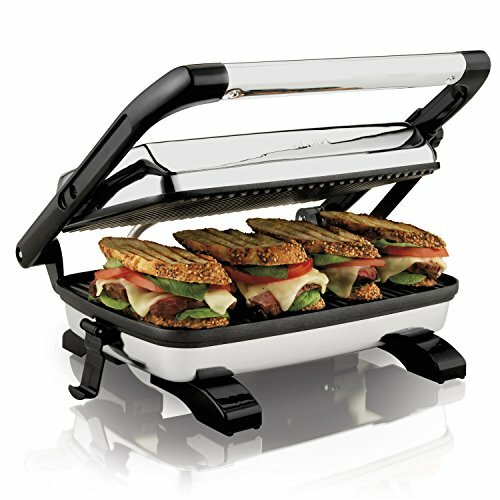 The Breville Panini Duo Nonstick Panini Press model number BSG520XL is 1,500 watts and can quickly create a tasty sandwich. 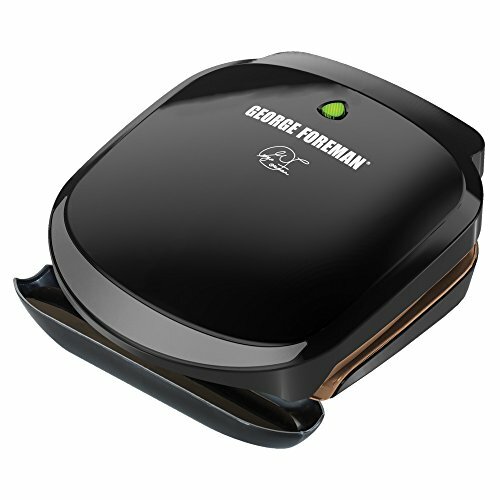 The design of this gadget has an open or floating hinge.This allows the top of the machine to alter its height based on whatever you want to put between the grill plates. You can make thick sandwiches or thin ones. You can also make open faced sandwiches or things like pancakes if you want to. 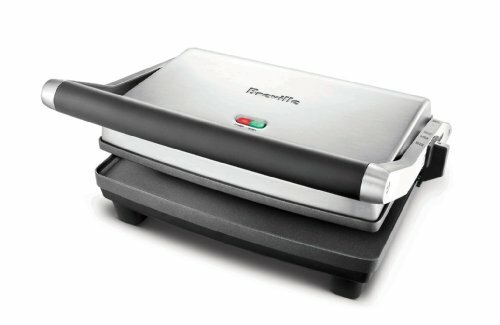 The top of the nonstick grill plate is ribbed, which is what leaves the grill marks on your sandwich. The bottom of the grill plate, which is also nonstick, is flat. With both grill plates, you get nice even toasting. The machine has an on and off light as well as a storage clip so you can lock the grill. The non-slip feet on the appliance keep it from slipping while you’re using it. It has a cord wrap for tucking that out of the way. 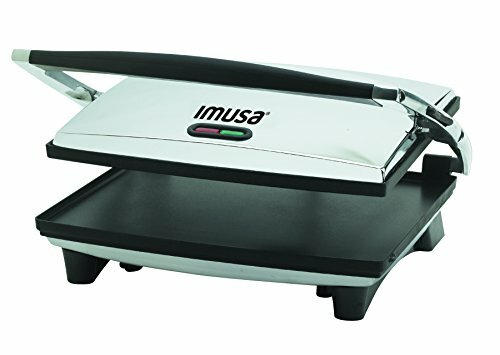 The IMUSA Electric Panini Press and Sandwich Maker is a press that is pretty versatile. One of the impressive features with the model number GAU-80102 appliance is the extra wide grilling surface. It boasts an area of 12” x 10” and all of that is nonstick. So whatever type of sandwich you make you’ll be able to slide it right from the grill once it’s done. The lid of the press can be changed depending on what kind of sandwich that you’re cooking. Some people use thick, homemade bread, others use store bought and some people use bread pockets. Whatever you choose, you can use the press to make it. It’s great for things like grilled cheese sandwiches and healthier too, because you won’t need to use any butter or sprays to make that. 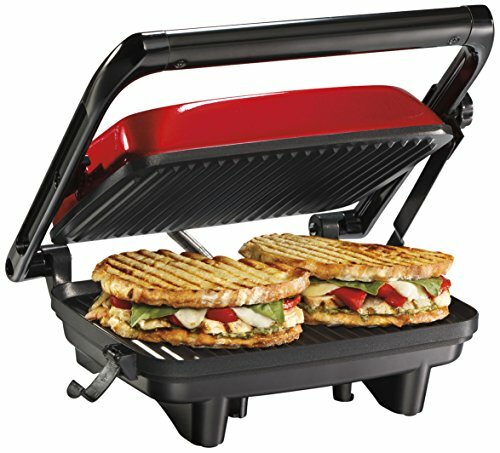 Some people want to buy a panini press to make things like burger or steak sandwiches. You don’t want to do that because a press isn’t designed with the slope to allow the grease to run off. So you end up with soggy creations and a mess of grease all over your countertop. It takes the machine around 4 minutes to reach the optimal use temperature and the light will go on when it’s ready for you to use. After you’re done, cleaning the grill is fast and easy. You just wipe down the grill plates and you’re done.